Philadelphia-style water ice makes it to the West Coast; soft serve ice cream is on the menu too. 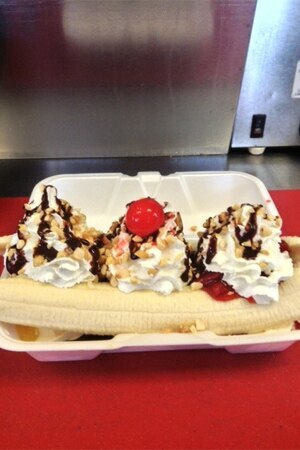 : Joe’s Italian Ice serves homemade Philly-style water ice as well as soft serve ice cream shipped from Pennsylvania. The soft serve ice cream is cooked at ultra high temperatures resulting in a sweeter, creamier taste. Try a Joe Latti---your choice of Philadelphia-style water ice layered with soft serve---or select one of the many flavors of water ice on their own. Flavors include Dangerberry, Smurf Poison, Snozzberry, Bada Bing Cherry and more. Stop by Joe’s on a rainy day for the two-for-one Rainy Day Special.